Jobayan.com is a product of Sterling Openovate Corporation, a full stack technology company that develops apps, companies, and game changers. It is made initially as an alternative channel for technology-based companies, startups, and non-corporate companies like ours to quickly find fresh and savvy talent easily. As Jobayan.com grew in its users, we molded its identity to address companies’ immediate job hiring needs by providing low-cost services and solutions. 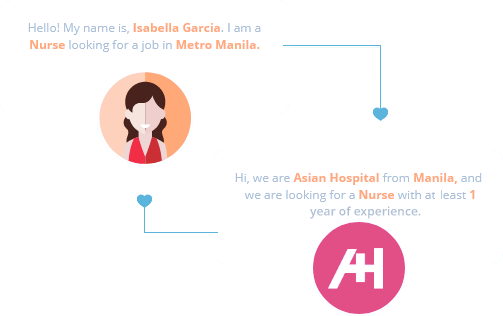 By allowing job seekers to promote their preferred job roles in the platform, we aim to shape Jobayan.com not just as another job search engine but a job community where getting hired and finding candidates are easy. Recruiters and job seekers match and connect with each other to make job hunting more social. To our brothers and sisters at Startup PH (Philippines) community and the PHackers (Philippines) community, this one is for you. As a Job and Talent matching platform without the hassle, Jobayan.com aims to make job hunting more social by reducing complexities of forms and processes in the recruitment experience, making it simple for job seekers and companies to connect. You're just one step away! Easy to set up, easy to use!